I've seen a few of my bloggy friends doing Hello Ella's Christmas Tag recently, so I thought I'd join in with the fun, too! This is a tag-less tag...if you see it, and like the questions, feel free to do your own! What time of year do you start your Christmas shopping? Um...I have yet to start my Christmas shopping!! I feel terrible saying that. I'd love to be ultra-organised, but it just doesn't seem to happen. I'll start shopping after the school Christmas Fayre is over and there's room to pile up presents. I did pick up some wrapping paper and bows in the January sales, though! I love baking over the festive period. I know Christmas is supposed to be all about family and togetherness, but food is the binding strand. I almost always make Nigella's Clementine Cake--might be a bit tricky this year due to the almond shortage--and frangipane mince pies. I usually do a ham, simmered in spiced apple juice until the house smells amazing, and then glazed and blasted in the oven. I don't bother making a Christmas cake any more as Dave isn't very keen on them, and Lucas is too young for a properly boozy cake. I do sometimes make one for school fairs, which is almost as good as getting to eat one! We usually get woken up around seven by Lucas running in with the stocking that Father Christmas has left for him. He opens the presents in his stocking while tucked up in bed with us, scraps of paper flying everywhere in his excitement. At some point I'll get up, and make breakfast for us all. Some years I make Nigella's Christmas Morning Muffins, stuffed full of clementines and cranberries, other years I go for croissants with smoked salmon and super-creamy scrambled eggs on the side. We always go to Dave's parents for lunch on Christmas Day along with the rest of his family, and absolutely feast. Then there's presents to be opened, with the kids having fun playing postman and 'helping' open presents if the grown-ups aren't fast enough! We usually spend the evening curled up on the sofa watching Doctor Who and nibbling on some cheese and crackers. On Christmas Eve, Lucas always leaves a glass of milk and a plate of mince pies out for Father Christmas, along with a carrot for Rudolph. Other than that...I don't think we have any real traditions. Oh! We always go and see the Brailsford Lights, which are stupendously tacky but also rather impressive. Do you have a favourite festive coffee? It's got to be the Eggnog Latte from Starbucks. I'm sure it's an entire day's worth of calories in a single mug, but goddamn it's good! This is closely followed by gingerbread lattes. "Fairytale of New York" by the Pogues. I know that it's always played to death, but I love it. I'm quite fond of the Tom Jones and Cerys cover of "Baby It's Cold Outside" but that's not strictly Christmassy. Try to find the last two bags of chocolate money in the city, frantically wrap last-minute presents and try to tidy the house for vaguely presentable photos on Christmas morning. What's your Christmas wrapping strategy? Do you have a strategy? I like to wrap as I buy, and I do try to have a general colour theme for the presents so that they all look pretty when they're piled up under the tree. This year we're going Scandi-style again, with red and white patterned paper! A new camera. I've got my heart set on the Panasonic Lumix GF5 which isn't cheap, but it takes lovely photographs. Describe your Christmas tree. How tall? Real or artificial? How is it decorated? Last year I was given some gorgeous hand-blown glass Doctor Who ornaments by my brother-in-law. I've got the TARDIS, K-9, and two new-series Daleks. I love them so much, but I may need to find a tree with stronger branches to support their weight! Do you decorate just the tree or other areas of your house e.g. windows, bannisters? I love hanging my wreath on the front door! The house instantly looks more inviting. We hang those metallic garlands and chains from the ceiling in the living room and hang up a string of train lights for Lucas. He's loved their shifting colours since he was a train-mad toddler. What do you wear to Christmas parties and what do you wear on Christmas day? I am so the wrong person to ask! I am no clothes-horse. I did get a lovely wine-red top the other day, so I'll probably dress that up with a necklace, some nice trousers and a pair of heels. A bit of lipstick to match the top, and BOOM! I'm done. Do let me know if you do Hello Ella's Christmas Tag, too, and I'll pop over for a look! I'm properly jealous of your Dalek ornament! Officially. And I've never had an eggnog latte! I have to remedy this tomorrow. I don't love eggnog, though. Lastly, when I was pregnant with Des, the smell of pine made me wildly nauseous. My husband had bought a scented pine candle and I made him hide it in the basement. Did you try the eggnog latte in the end? I'm glad that someone else doesn't (or didn't) like pine scent. It always smells sickly and cloying to me, but everyone else says it smells fresh! Oooh little bit weird about the pine smell! 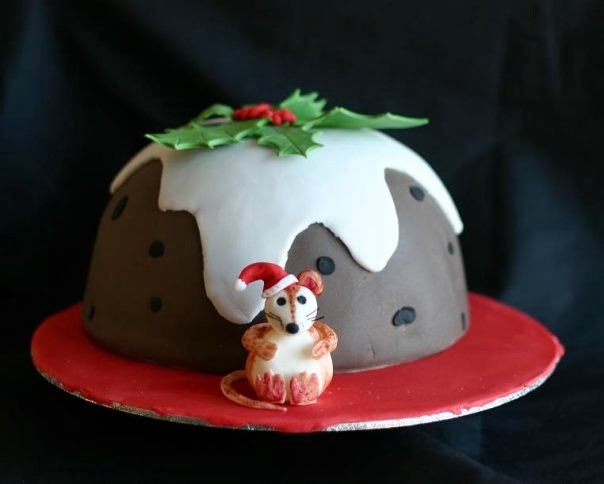 But more than made up for by the amazing Christmas pud cake. 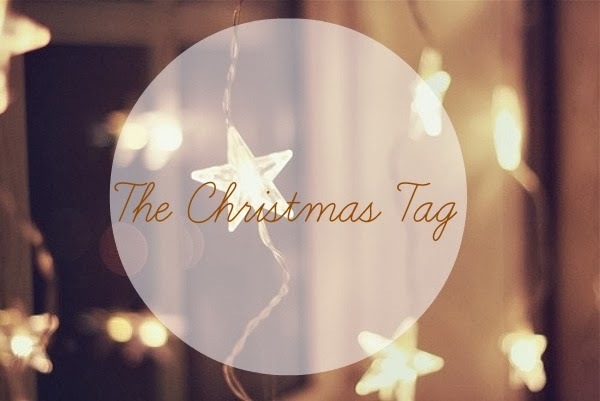 I really like this tag, it's like going to spend a mini chrimbo with bloggy friends! 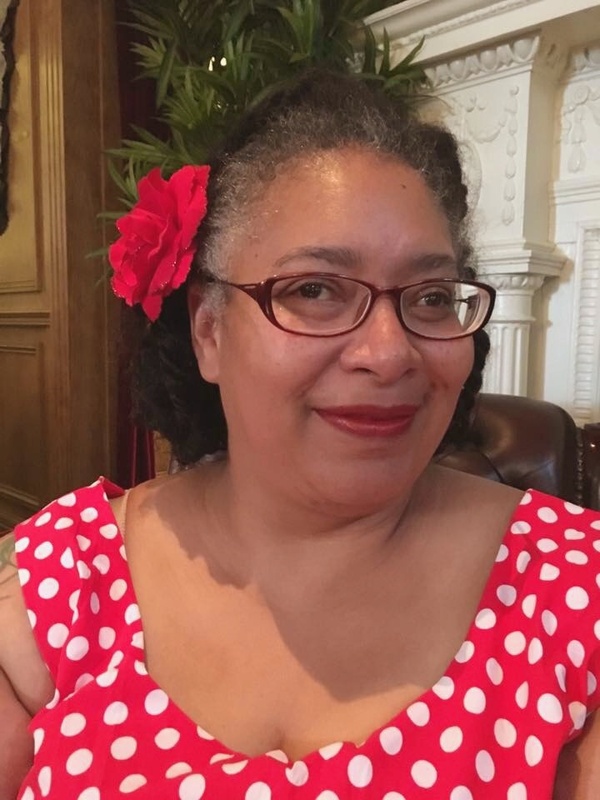 Hi Angela, thanks for the comments on my blog, I am now following you on Bloglovin, always nice to find a fellow crafty blogger! Thanks, Jennie! I love having the daleks on the tree! I love the dalek! I really enjoyed this post, it's lovely hearing about how other people celebrate Christmas. That clementine cake sounds heavenly too, I think I'll be having a go at it later this month! 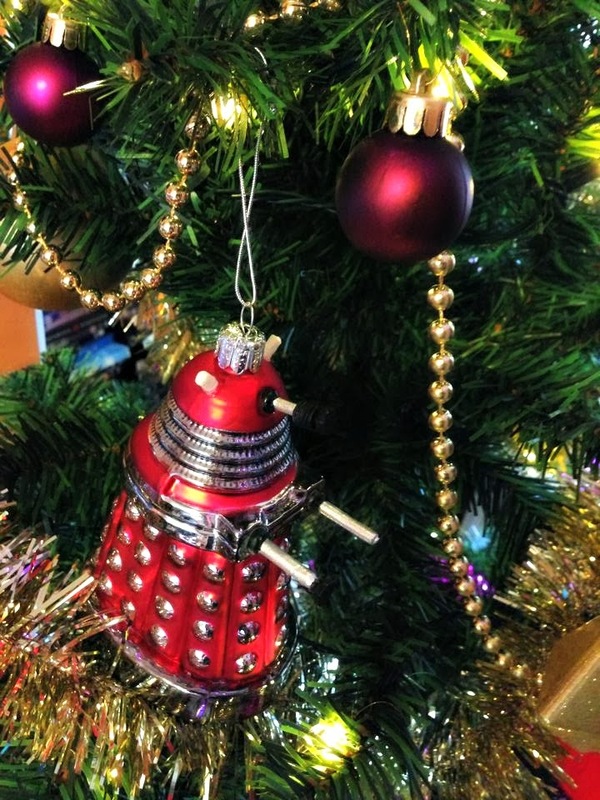 The daleks have been proudly placed on our new tree! Along with K-9 and the TARDIS. I have posted the clementine cake recipe, too--it's awesome!